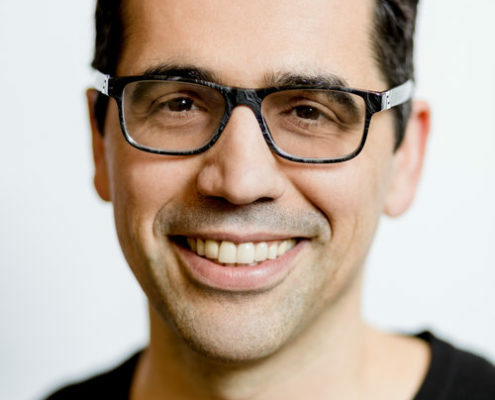 The Azrieli Prize of $50,000 CAD is awarded biennially through a competitive process to a composer who has written the best new major work of Jewish music*. Open to the international music community, works can be nominated by individuals and institutions from all nationalities, faiths, backgrounds and affiliations, and submitted to the AMP Jury for Jewish Music through the open call for scores. Works may have been premiered within ten (10) years of the award date, but must not have a significant performance history, and must not have been commercially recorded. 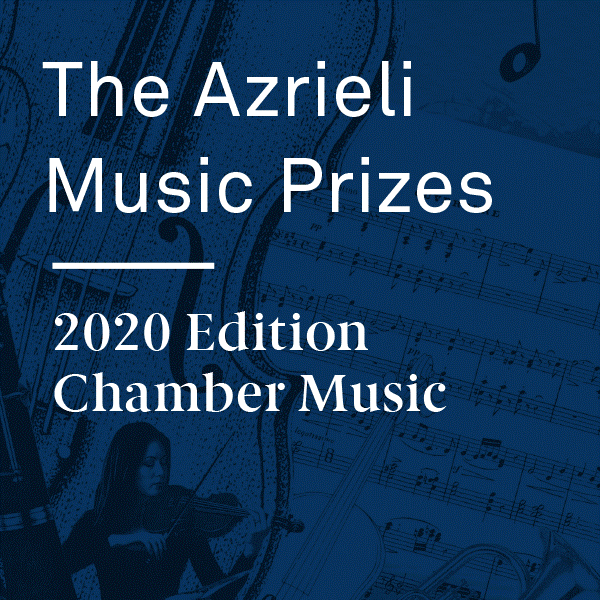 The total prize package for the Azrieli Prize is valued at over $200,000 CAD. Nominations will be accepted for individual works written by living composers. Multiple nominations of works by the same composer will not be accepted. Only works written and/or premiered after January 1, 2010 are eligible for nomination. must be at least fifteen (15) minutes and no longer than twenty-five (25) minutes in duration. Nominations may be submitted by individuals and institutions of all nationalities, faiths, backgrounds and affiliations. Composers of nominated works may be of any age, experience level, nationality, faith, background or affiliation. Any nominator (individual person or institution) may submit a maximum of two (2) nomination packages, each of which must be for a different composer and their work. Eligible works must be shown to be relevant to the field of Jewish music (a written statement of relevancy must be provided.) Please see below the Foundation’s definition of ‘What is Jewish Music’ to ensure that the nominated work complies. All works that do not comply with this definition will be disqualified. All nominated works must meet the following guidelines. Any work that does not meet these guidelines will be disqualified. Please note: all documents and media must be submitted electronically via the online application form on or by Sunday September 1, 2019. It is the responsibility of the nominator to ensure clarity and legibility of the score. a written explanatory note (not to exceed 1,000 words) describing those aspects of the nominated work which are relevant to Jewish music. participate in outreach events, workshops, press conferences, media interviews, and other such promotion and education activities as they relate to the Azrieli Music Prizes and its objectives to educate the general public about the enduring appeal and artistic importance of works that result from engaging with the topic of Jewish music. Don’t worry about how ‘Jewish’ you are (or are not) before considering a submission to one of the prizes. People from all faiths, backgrounds and affiliations are equally welcome to apply their artistry, creativity and musicality in response to the Prize themes. In fact, one of the Foundation’s hopes for AMP is to generate productive intercultural understandings through a rich consideration of what Jewish music is and can be. A submission package must be conceptually and musically balanced. Strong, wonderful musical examples accompanied by an insubstantial and/or ill-researched proposal or explanatory note will not succeed within the competition. The inverse is also true: a strong proposal and/or explanatory note will not compensate for weak musical examples. The two must go hand-in-hand. have been composed expressly for a Jewish commemoration, celebration, ceremony, or other occasion conceived in some way to represent the nature of that occasion.